It has been noted by people that Master Wan Ko Yee, the world famous master of Buddhism and art, set the world record in Chinese art history of the highest selling price of paintings by a painter who is still alive. His painting, “Venerable Da Li Won", again broke his own world record when it was sold at NT$72,000,000.00 (US$2,207,912.00) by Mr. Naylor, an art collector and art merchant from England. Once the selling price was confirmed at the auction, people on the spot clapped their hands continuously for quite a white. The year of 2000, the beginning of a new country, people were more impressed by the special honors which Master Wan Ko Yee received. On March 8th this year both government of State of California and government of City of San Francisco separately proclaimed March 8th, 2000 as Master Wan Ko Yee Day based on his amazing achievements in various fields. In addition, he received honoray doctorate degree and professorship from ninety-two universities in the United States and other countries all over the world. It was the first and highest honor in history among Chinese worldwide. 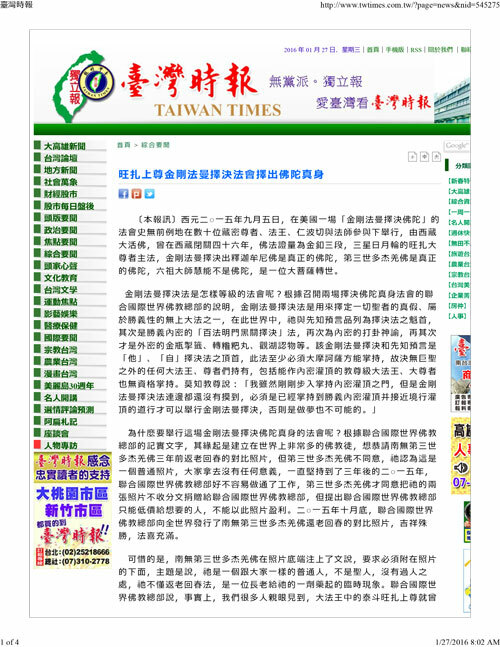 On May 12th the same year in Taipei, at the meeting organized by United International World Buddhism Association Headquarters, 2137 eminent monks and nuns and the great virtuous ones from 416 Buddhist organizations, associations, and temples worldwide unanimously conferred Master Wan Kao Yee as the true Buddhist Master with perfect mastery in both Esoteric and Exoteric Buddhism. Talking about art, it is just a small drop of water in the boundless ocean of Buddha Dharma of Master Yee. Since he is a great Dharma King Master with perfect mastery in Esoteric and Exoteric Buddhism and Five Brightness, the Art which is one of the Five Brightness, has made Master Wan Ko Yee reach the unprecedented height in arts including paintings and calligraphy. 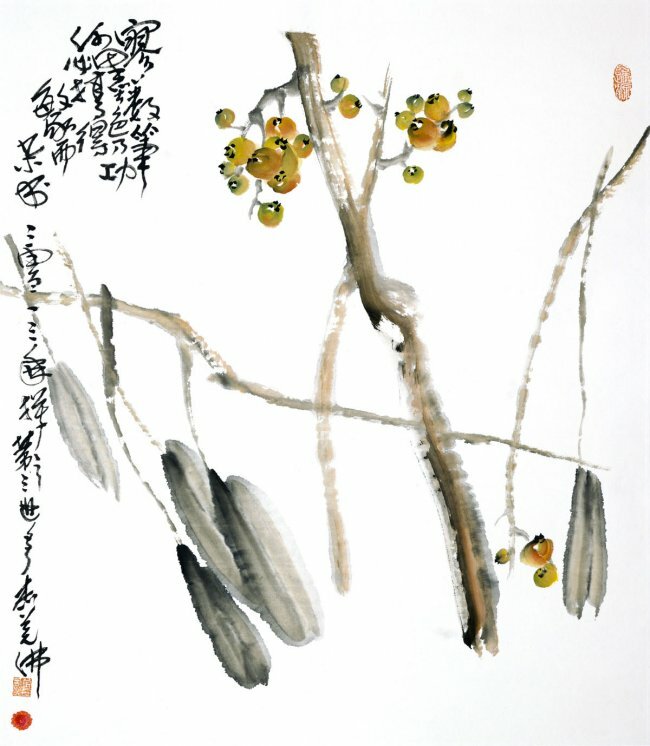 On May 28th this year Unique Art Collections International Co., Ltd. auctioned one of Master Yee’s paintings, “Majesty", at an unprecedented sky-high price of US$455.00 per square inch. It shocked the art circles worldwide. On November 26th Unique Art Collections International Co., Ltd. again shocked the world by auctioning the painting, “Venerable Da Li Won", at US$467.00 per square inch. In proved that the skills, styles, and varieties of Master Yee were comprehensive and lofty. Master Yee can use dozens of different skills in painting scenery, figures, animals, flowers, birds, fish, insects, and etc. Master Yee is an expert in all styles no matter it is detailed brushwork style, freehand brushwork style, or splashing ink style. All of these new styles were created out of his genuine efforts in traditional fields. Master Yee is the most famous scholar in modern history with his abundant knowledge, distinguished achievement, and many publications. Although his reputation has already spread all over the world, it is hard to find someone like him with such humbleness, sincerity and noble virtue. It has won the recognition of experts in academic organizations worldwide. On Sept 12, 2015 at Gianguan Auctions New York, Loquat, an ink painting by HH Dorje Chang Buddha III, sold for $10,200,000, setting a world record price of $1.7M per square foot. It is the highest price by dimension ever paid for a Chinese painting at auction. The news, which comes amidst concerns about the strength of the Chinese art market in the current period of correction, has been covered by more than 300 media outlets across the globe. Loquat is exceptional because HH Dorje Chang Buddha III treated the ink as if it were as precious as gold. There are no broken strokes or extraneous marks on the image that focuses on an ascending branch laden with fruit. Elegant by design, the deft brush work culminates in a visual simplicity that belies the hidden power within. The painting carries the bell seal of Dorje Chang Buddha III and a three-dimensional finger print Gui Yuan. The relatively small work of art measures just 31 1/2” X 27 3/8”. The buyer is an unnamed Asian woman who bid in-person against a field of European and American collectors. Artnet.com, the leading record keeping art-world monitor, recorded the sale in its price database. 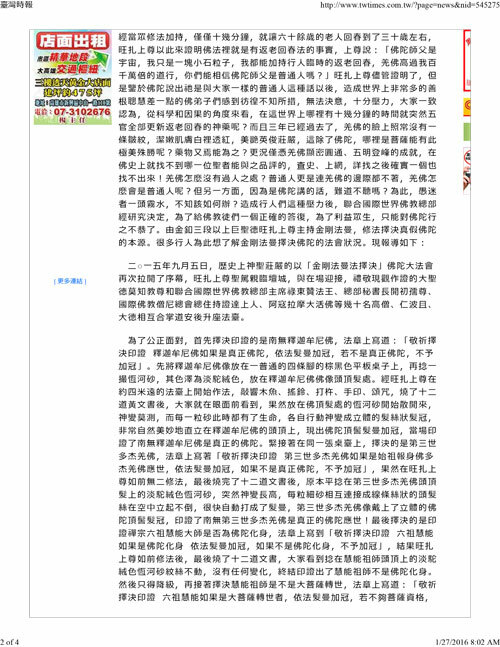 Further commenting on the correction in the Chinese art market, Mrs. Lum stated Chinese collectors have begun diverting their art investments into real estate. To offset this, the gallery has countered with an action plan that optimizes the reach of the Internet through an Internet-based auction platform. A second-tier plan has been the establishment of a network of autonomous sales rooms in ten countries that operate under the Gianguan Auction banner. As a result, the auction house has seen Chinese bidders from remote corners of the world entering the market. Their activities are approaching the the mid-range, an encouraging sign that the market is expanding, Mrs. Lum said. She also noted that there is a strong contingent of international collectors that have always been fascinated by the Chinese aesthetic. They are perhaps best exemplified the late New York collector and dealer Robert Hatfield Ellsworth whose collection sold at Christie’s in the spring, 2015. This widespread interest has not waned in all the decades since the Ming Dynasty (1368-1664) when China was “discovered” by Western travelers and missionaries. Gianguan Auctions, the longest established Chinese-American owned auction house in New York, is now in its thirteenth year. Founder Kwong Lum is a classical artist, collector and appraiser. Originally, the gallery fulfilled his vision as a collector to provide a local salesroom for the finest Chinese paintings and works of art. Today, Gianguan Auctions is an internationally recognized venue.